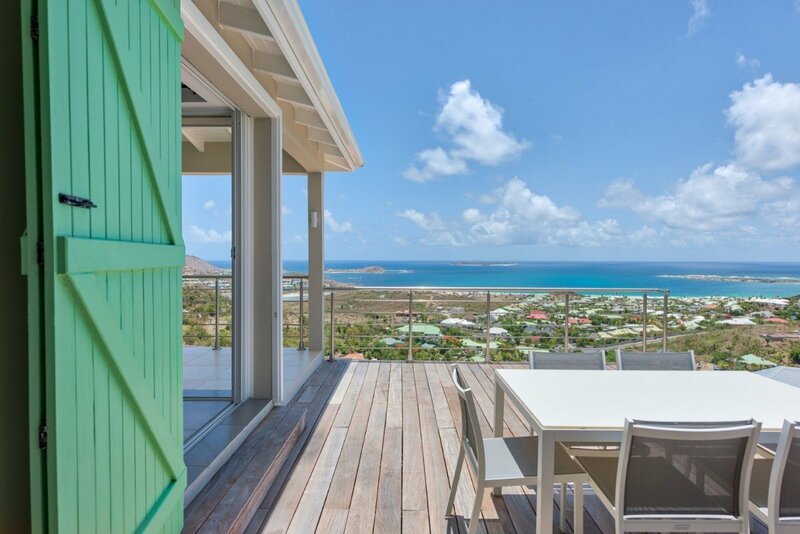 Villa Tintamarre St Martin. 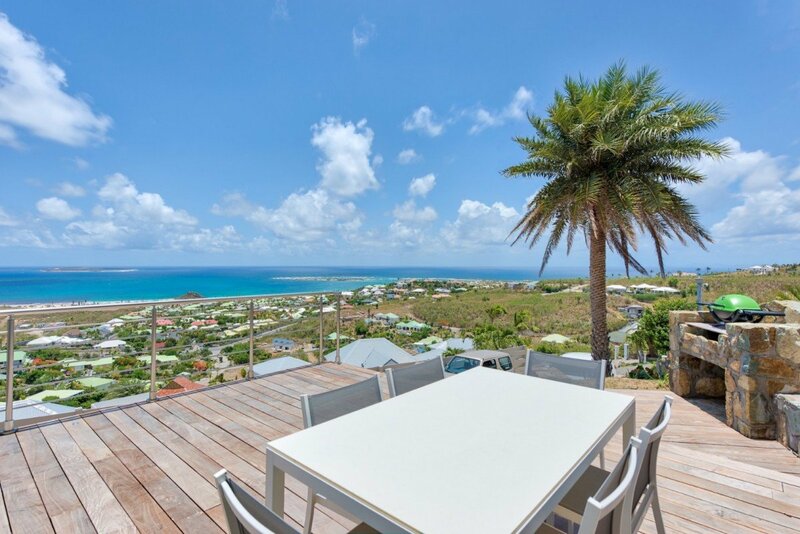 If you want to enjoy amazing beaches as well as plenty of city fun, you can’t do any better than Mont Vernon, St. Martin. You’ll have easy access to shopping, dining, entertainment, and more in the town – and of course, access to the world’s most beautiful beaches. 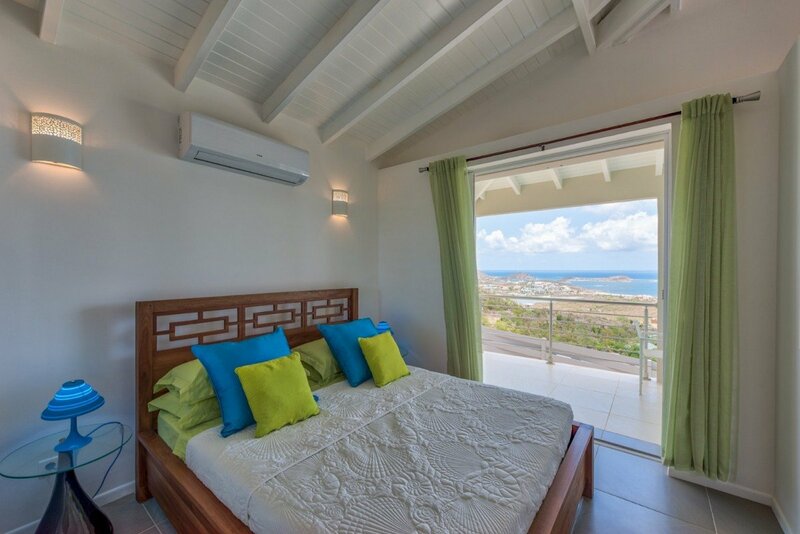 Tintamarre is a single-bedroom bungalow nestled above the town, with enough space for two to stretch out and relax. 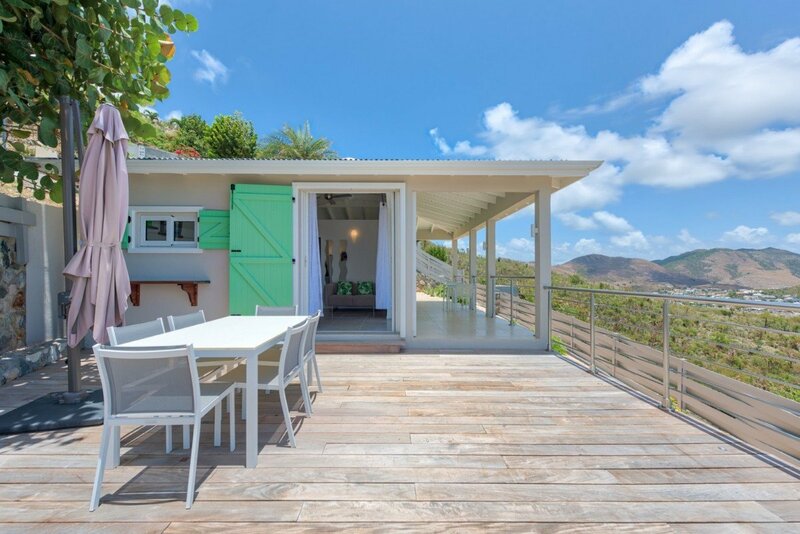 Bring your loved one and have a romantic getaway for two in this beautiful property. The property includes tons of private amenities that will make your stay perfect for any kind of vacation. Inside the one-bedroom unit, you get beautiful views of the mature palms that offer shade and privacy to the terrace area. The living room is huge, with elegant decor and oversized sofas to help you lounge in total comfort. 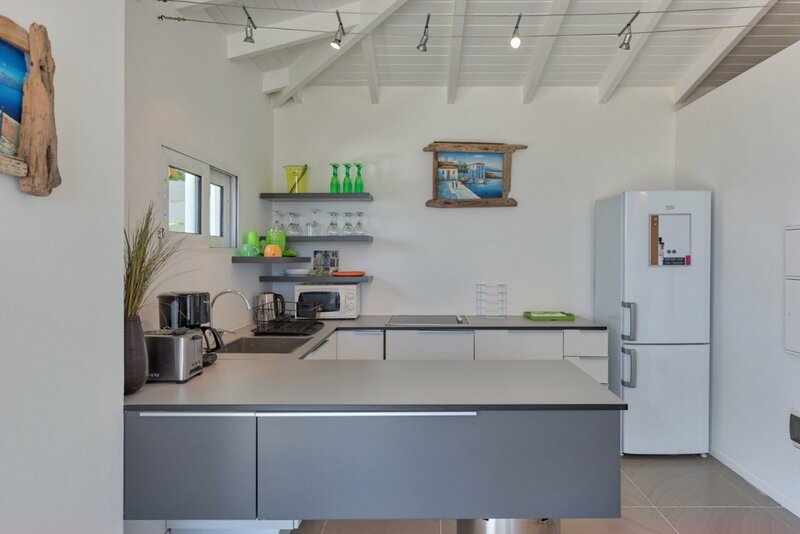 It opens to the informal dining room and modern kitchen, filled with gourmet appliances so you can enjoy trying your hand at new or favorite dishes. Of course, the master bedroom, complete with king-sized bed, includes all the comforts you need. The terrace is the perfect place for your morning coffee or your evening wine. 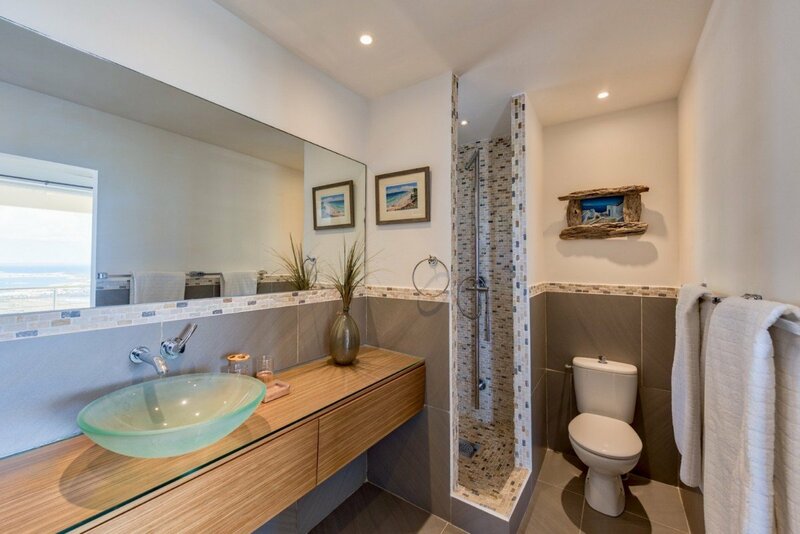 The bedroom includes an ensuite bathroom, featuring a lovely tile shower that will pamper you after a fun day in the sun. The other amenities include housekeeping services and a gardener to maintain the property. You can also call the property manager if you need anything during your stay. Just outside the kitchen is an al fresco dining area, and the gardens surrounding the terrace are beautiful. Beautiful landscaping makes the property itself a tropical delight. You can sip cocktails, enjoy meals, and take in the ocean breeze from this area. Or head down to the beach, where the white sands offer the perfect spot for lounging. The gorgeous blue waters will cool your toes as you walk along the beach. 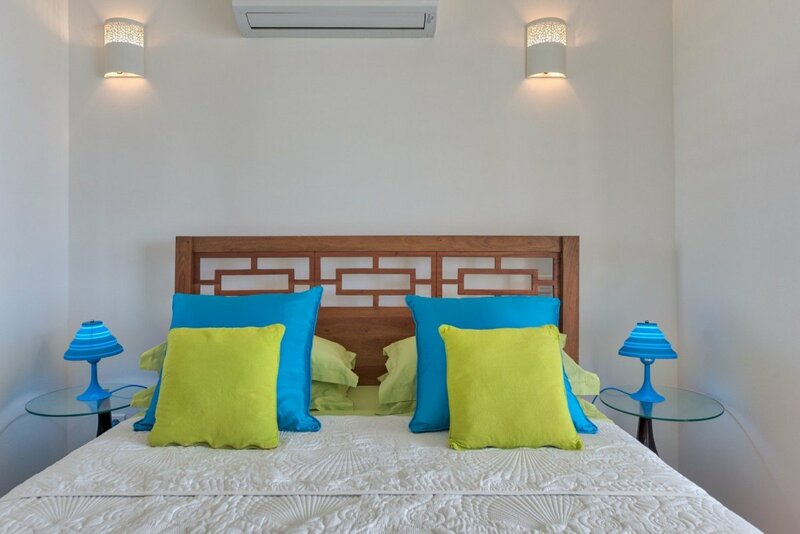 Head back to Villa Tintamarre to relax after your fun in the sun, or get ready for a night on the town. 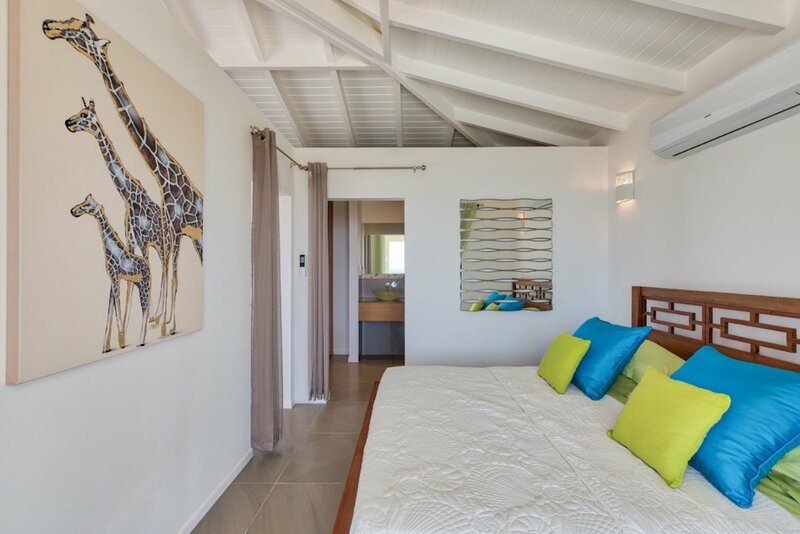 This villa is ideal for an intimate getaway for the holidays, or a romantic weekend away for two. 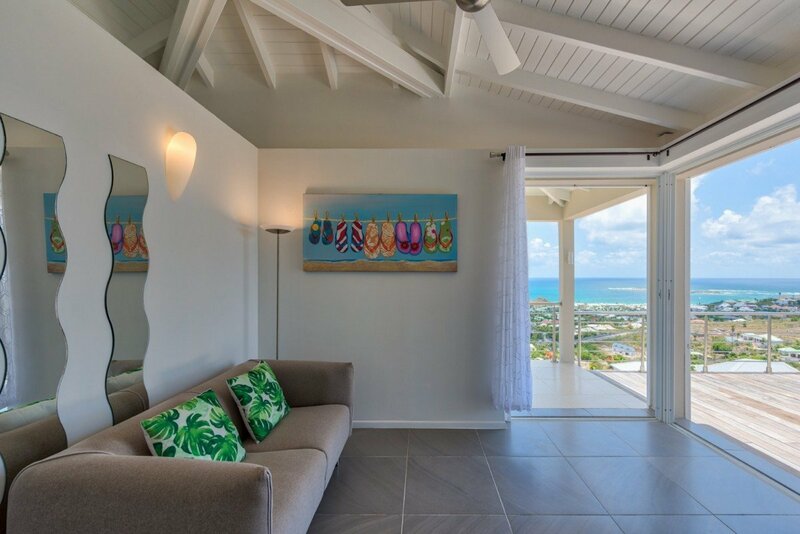 From the terrace and comfortable lounging spots to the beach and many fun things to do in town, you’ll have plenty of opportunity to de-stress and enjoy island living. The Mont Vernon area offers many things to do so you can get out and explore whenever you want in this popular area. Bedroom 1: Bedroom with a king-size bed, A/C, ceiling fan, safe, access to terrace and en-suite bathroom with shower, vanity and WC. 2 guests maximum. 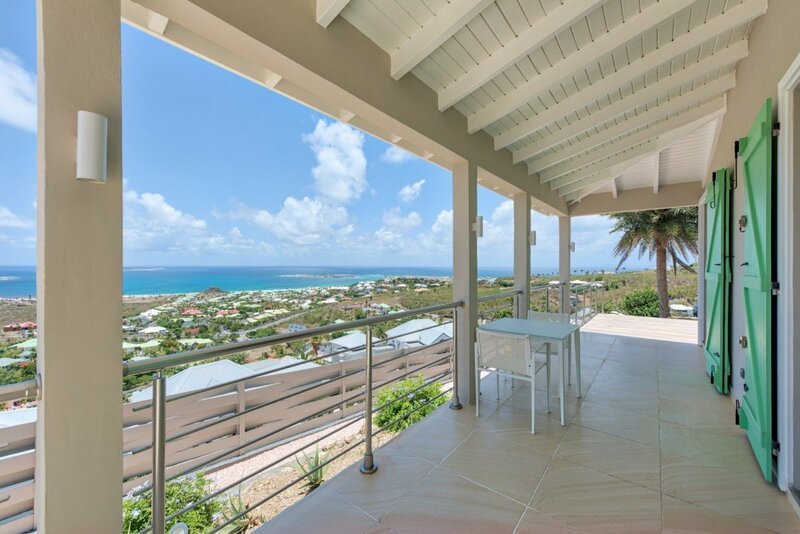 "Wonderful location, villa well layed out, would rent this location again"